Onslaught DLC for COD Ghost. Keep in mind that type of release work only with glitch’d / JTAG Xbox360 Enjoy! 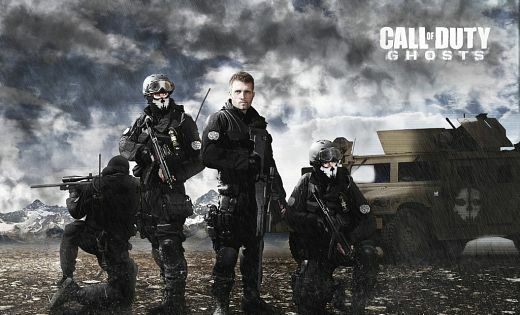 Welcome to Call of Duty«: Ghosts Onslaught, the first downloadable content pack for Call of Duty«: Ghosts, delivering four unique multiplayer maps, each with their own distinct environments, size, and gameplay variety; and a deadly new addition to your arsenal with the Maverick, a dual-purpose Assault Rifle/Sniper Rifle. Anchoring this first content pack is Episode 1: Nightfall, the first installment in ExtinctionÆs four-part episodic narrative, where a small team has been tasked with retrieving valuable intel from a remote facility in the Alaskan wilderness. Episode 1: Nightfall features two all-new species of aliens and an exclusive weapon.